*Update – July 2018: This blog post remains one of my most popular, despite being out-of-date. A couple of the restaurants I visited have closed down permanently. I’ve also been back to Digby to try more scallops! I have left the post as it is, but have indicated which restaurants are no longer operating. There is also an appendage at the bottom of this post with more recent info. It’s been a pretty busy summer and I haven’t had much time for vacations or adventures, but I took a little road trip with my folks to check out some wineries and convinced them to lodge and dine in Digby, despite their apparent preference for charming Annapolis Royal. The quaint little town of Annapolis Royal, with its historic homes and gardens, is in stark contrast to Digby’s blue collar. I immediately felt more at home in Digby, with its scallop trawlers and dive bars. It’s also more of a waterfront town, and you can enjoy a meal out on one of the various patios. Digby’s biggest festival is the Wharf Rat Biker Rally, which increases the town’s population by an absurd amount, but the town was preparing for the Digby Scallops Days while we were there. 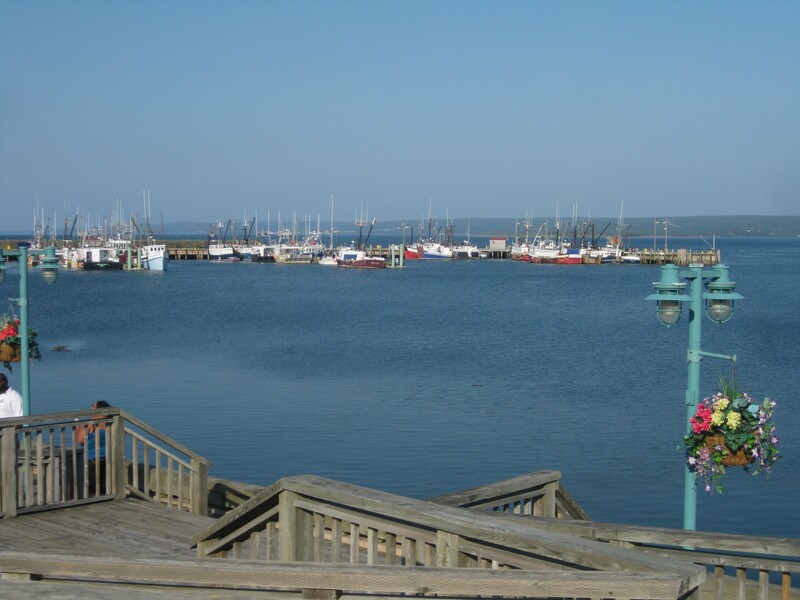 Digby is famous for its fleet of scallop trawlers and the “Digby Scallops” they bring to market. 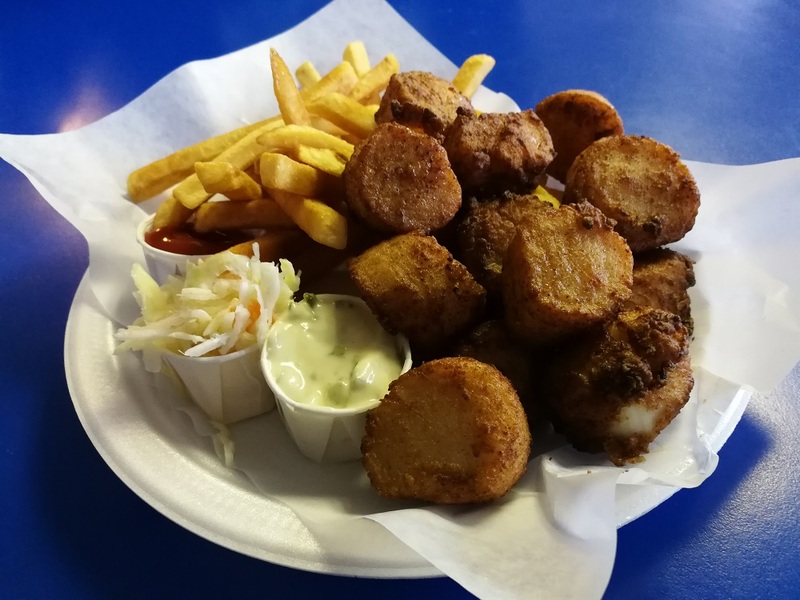 I realize that these are essentially the same sea scallops served everywhere in Nova Scotia, but Digby has the largest fleet and effective marketing – making it the spot to eat scallops. 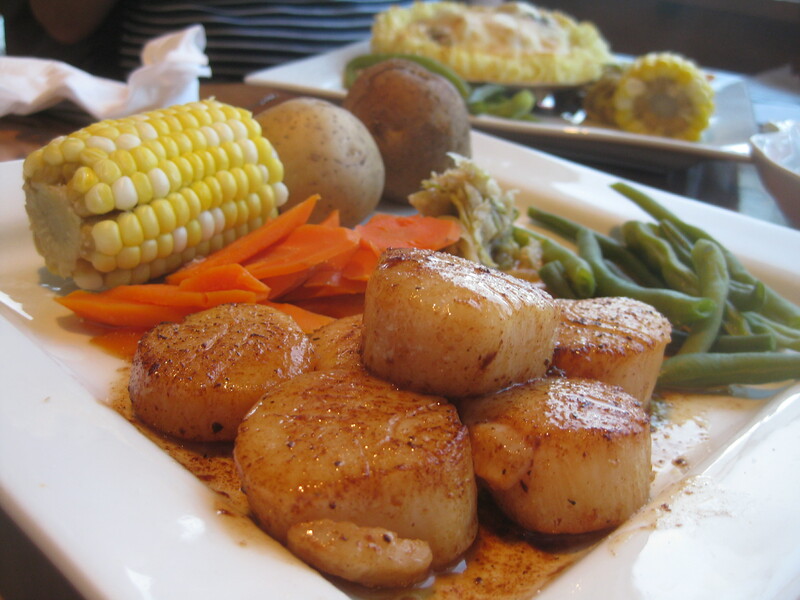 Sea scallops are quite large at 1½”-2″ in diameter, and are perfect for pan searing (unlike the small bay scallops that have no relevance in a proper Nova Scotian diet). The part we eat is actually the adductor muscle that opens and closes the shell. It can be eaten raw, and only needs a nice quick sear for perfection’s sake. I made it my mission to quest for the best place in Digby to eat Digby Scallops, because it’s the touristy thing to do! They are literally on every menu, whether deep fried or a special at the local Chinese restaurant. My preliminary research led me to believe that the jackpot could be the Boardwalk Cafe, so this is where we had our first meal in Digby. **UPDATE: The Boardwalk Cafe is sadly now closed. The Boardwalk Café is perhaps more of a lunch spot, but it suited us just fine for an early dinner. There is a small patio, and also a nice view from inside. 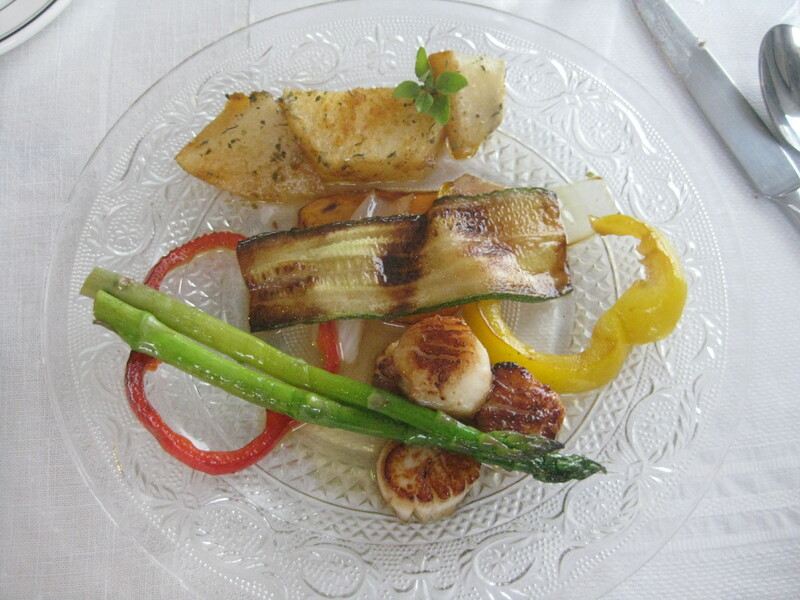 There are daily specials, as well as a small menu featuring home-made soups and chowders, pan seared scallops and Scallops St. Jaques, which is a creamy scallop dish traditionally served in a scallop shell. The Boardwalk Café also lines theirs with mashed potatoes. My Mom and Dad both ordered this, and were very impressed, even claiming this was their best meal of the trip. I ordered the pan seared scallops, because I am a bit of a seafood purist. These were cooked perfectly. They were lightly seared, tender, luscious, and cooked in a scrumptious seasoning/sauce that only heightened the scallop experience. I also enjoyed the simple and plentiful vegetables that came with the dish. The cost was roughly $18, but was totally worth it for the best plate of scallops I’ve ever had. Did I mention that these mollusks tend to be pricey? For comparison purposes I decided to check out the seared scallop platter at Fundy Restaurant. This is one element of the Fundy Complex, which also encompasses the Dockside Restaurant, Club 98 (the local dance club! ), accommodations, kayak & bike rentals, as well as tours. The Fundy and the Dockside seem to have basically the same menu. Both have nice outdoor patios, but there is more seating at the Dockside and a “munchie” menu to accommodate some afternoon beer drinking. 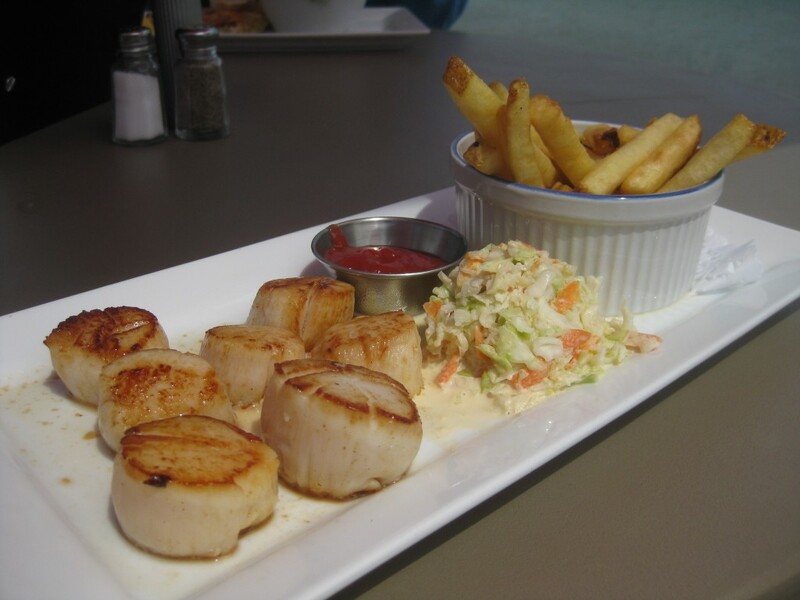 The scallops are seasonally priced (re: $18) and come with a more casual fries & coleslaw accompaniment. These were seared in garlic butter and perfectly acceptable, but for the $18 I’d rather dine at The Boardwalk. My parents both ordered the special, which was the Seafood Lasagna. 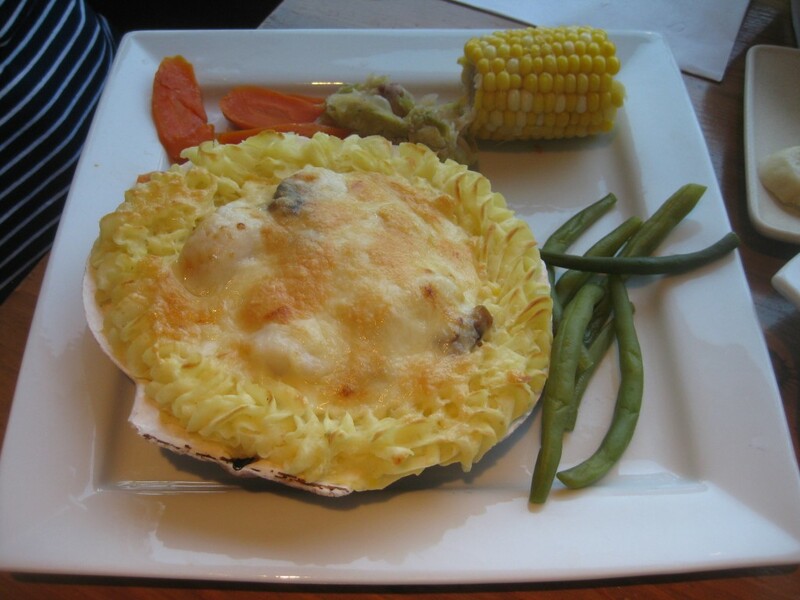 Normally it is $11 for a small (pictured) or $17 for a large, but it was discounted on that day and full of haddock, clams, scallops and salmon in a creamy sauce and topped with cheese. Not a terrible way to enjoy some seafood. The Fundy/Dockside also serve a “Scallop Pesto Fettuccini” and a “Scallop Wrap” that surprisingly doesn’t incorporate deep fried scallops. I snuck in a scallop appy at one of the restaurants lining the main drag. 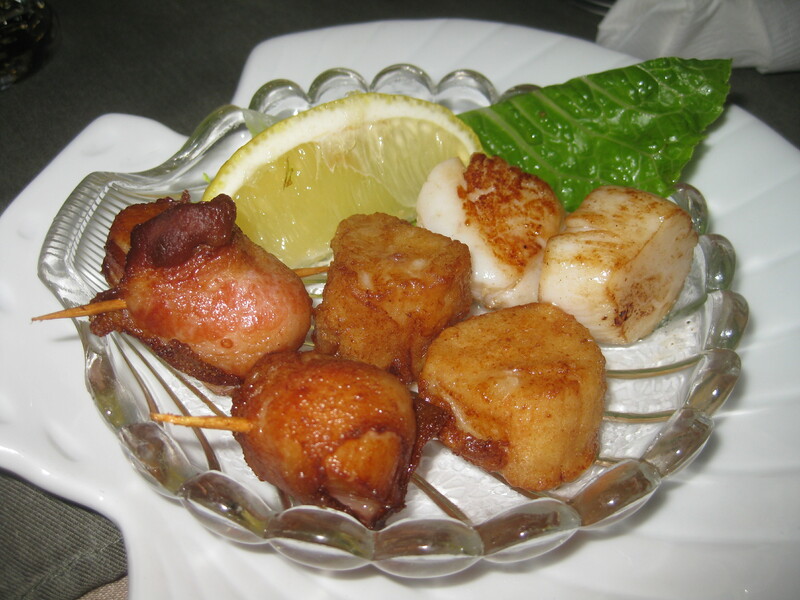 Mariner’s Landing has “Scallops Three Ways”, which includes 2 pan seared, 2 deep fried and 2 bacon wrapped scallops. I was surprised that the deep fried scallops didn’t have a thick batter to them, and I have no idea whether this is a local norm as I did not get to sample any other scallops of the deep fried persuasion. The bacon wrapped scallops were my favourite component of this appetizer, so I think I would just stick to those. Our server was really friendly and certainly knew her scallops! … but I feel that the restaurant is a bit of a tourist trap. 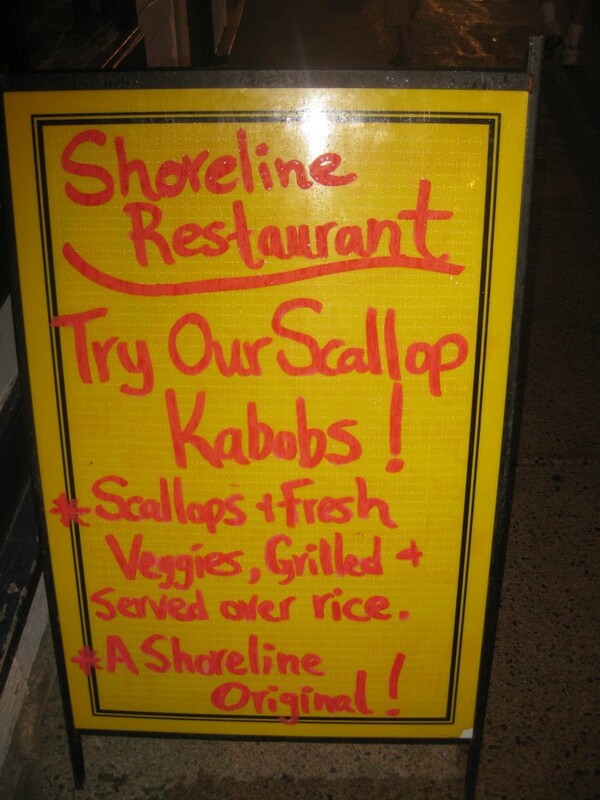 Next door is the Shoreline Restaurant, which I didn’t get to try… but I was tempted by their Scallops Kebabs – a Shoreline Original! My Mother also did some food research of her own (i.e. she checked Trip Advisor) and actually uncovered a little gem that was off my radar (despite being the #1 listing on Trip Advisor). Mag Pyes serves breakfast and a 3 course fixed price dinner for $35. The food is home-made and you can bring your own wine for a $5 corking fee. The dining room is intimate, but casual, with mismatched tablecloths and a collection of salt shakers and tea cups apparently acquired over time spent peeking in at antique stores and flea markets. One of the owners cooks the food, while the other pours the wine and jokes around with guests. You kind of feel like you are dining at a friend’s house. Our “3 course dinner” included bread & spreads, a teacup of soup, a salad course, a palate cleanser, a main course and dessert. There are more like 6 courses, but they are on the small side. 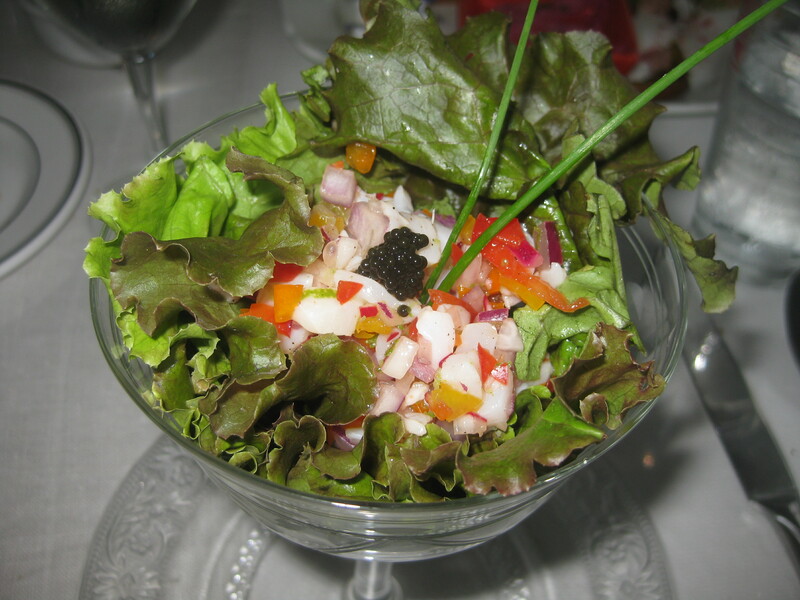 For my “salad” I had the scallop ceviche (keeping with the scallop theme). It was refreshing and pretty, though I would have preferred larger chunks of scallop and less lettuce. *Update: Mag Pyes is now permanently closed. The main course was a choice of protein, featuring a comprehensive seafood line up but also a couple of meat options. Some carnivorous Chicagoans beside us apparently didn’t get the memo about Digby being a fishing village… so I watched with sadness as they ordered steak. Of course, I ordered the scallops! These scallops had a real nice sear on them, but I think they were cooked just a bit too long – not enough to make them inferior, as they were quite good. They had a bit more texture to them, which some people may actually prefer. The platter was dressed gorgeously with fresh vegetables, and the potatoes were to die for! I could totally have gone for a second helping of potatoes and scallops. But I settled for a slice of apple, pear & cranberry pie which was topped with real whipped cream. I was satisfied. 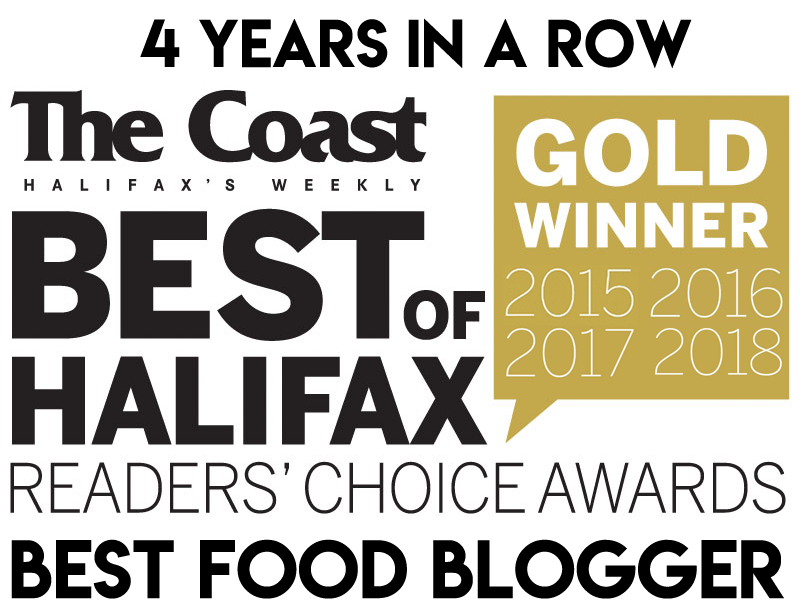 The energetic couple who run the place also operate the Holdsworth House Bed & Breakfast, which is the oldest house in Digby dating from the 1700s. We were impressed enough with their hospitality and our meals that we decided to stay at their B&B the next night. The house is decorated with spinning wheels and old furniture, and we felt like we were living in a period re-enactment museum. It was pretty cool, actually – if you’re into that sort of thing. 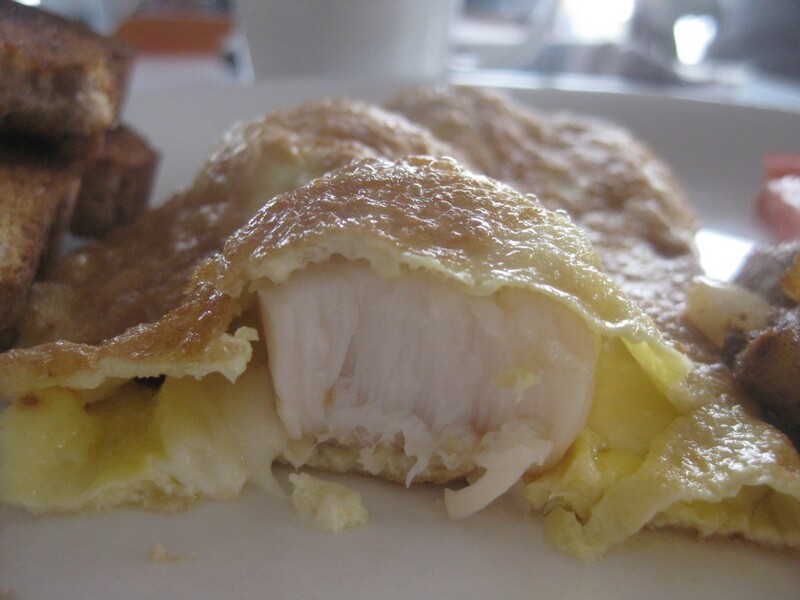 The best part is, of course, that breakfast is included with your stay – and Mag Pyes has a scallop omelette!! Scallops work wonderfully as an omelette filling, and this was no exception. It was a great way to finish my quest! 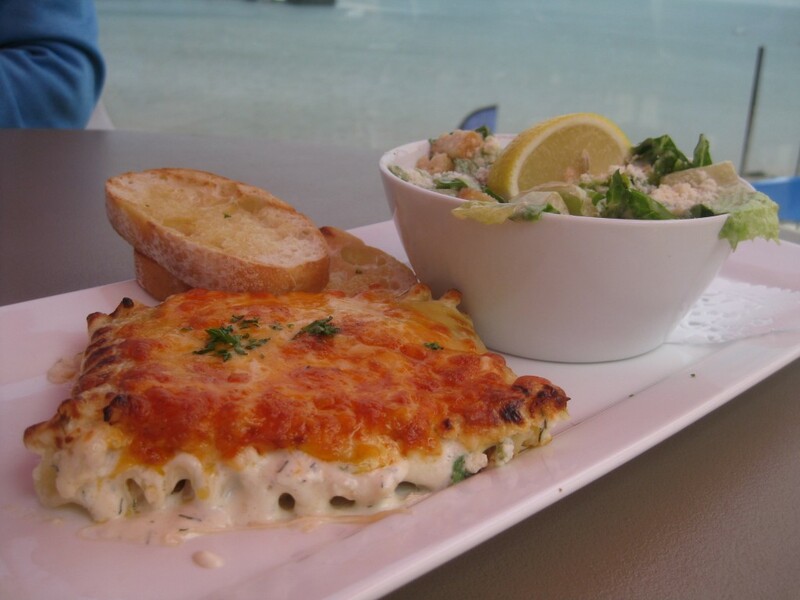 The Boardwalk Café is my pick for the best place to eat Digby scallops in Digby. However, the Dockside is where I would go for some casual fare and sunshine beers. Mag Pyes is an eating experience, especially when combined with a night at the Holdsworth House – and don’t forget the scallop omelette for breakfast! I hear that Ed’s Take Out is a “must-stop” and favourite among locals. Driving by it’s run down exterior made me long to binge on deep fried seafood goodness. Kalen’s Take Out, a seasonal food truck, was also catching my eye and it has online reviews to back it up! 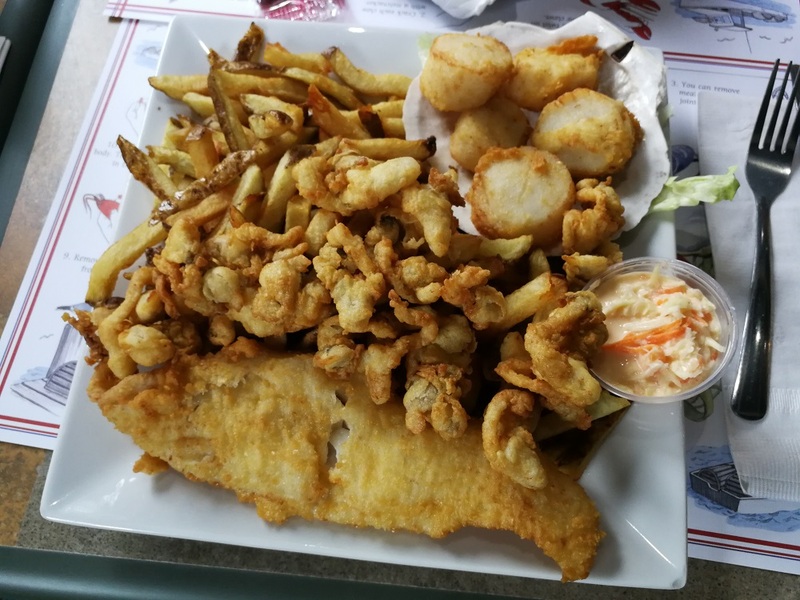 I may have to return to Digby for a “deep fried” food quest! But first… I need to patch up my relationship with the gym. I finally returned to Digby to feast at Ed’s Take-Out! 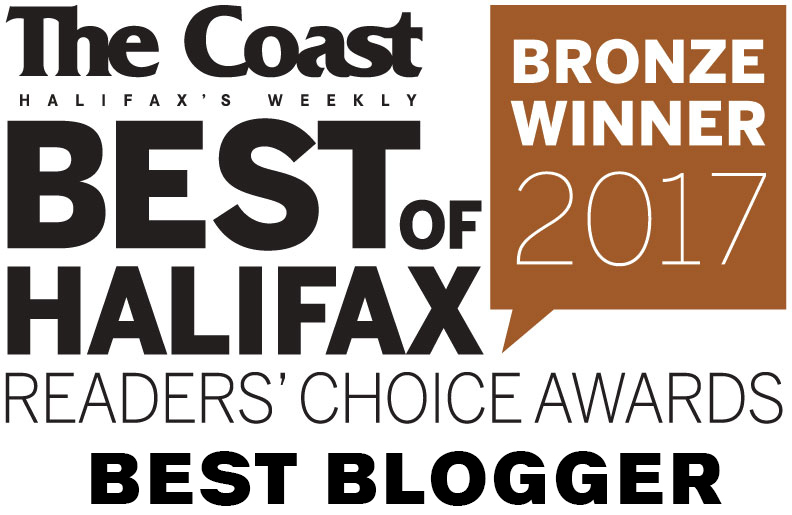 See Southwest Nova Scotia: Our Top 10 Tastes & Highlights. It turns out these were the best scallops in Digby all along. Yes, they are deep fried but the batter is very thin and flavourful. Yes, this is a bit of a dive but it’s the best kind of dive. Digby area residents know that the best seafood is not on the waterfront, but hidden in the rough. This is new to the Digby waterfront since my last visit. It is operated by the same friendly folks as The Crow’s Nest – Hillsburn – Shore Road Seafood, which is actually where the above picture was taken. But suffice to say, this is some really good and fresh seafood! If I hadn’t already been to Ed’s, these would have been my favourite scallops in the Digby area. They have a clear advantage over Ed’s when it comes to their hand-cut fries. I also highly recommend the clams. Right some good! 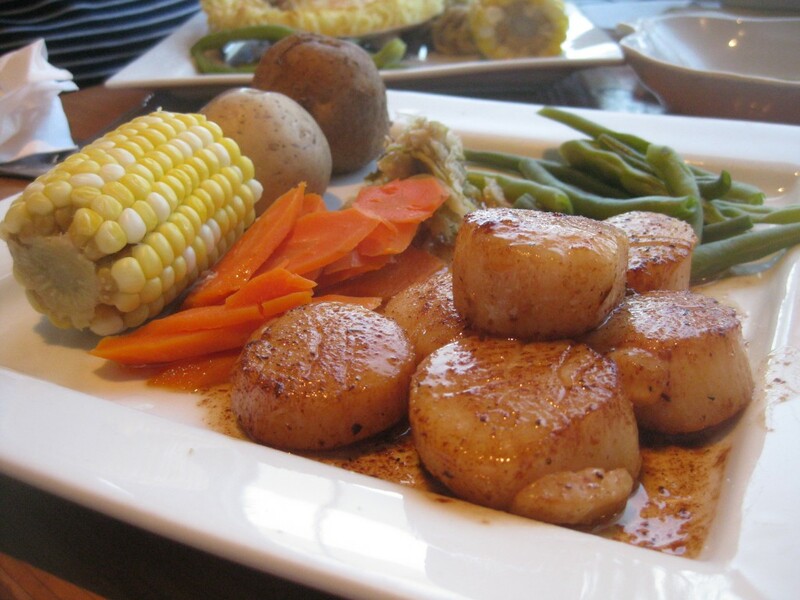 We would like to know how to order these awesome scallops. They look amazing.